Singer Christina Grimmie died at the age of 22. Christina Grimmie's publicist tells E! News that "It is with a heavy heart that we can confirm that Christina has passed and went home to be with the Lord,". "She was shot at her show in Orlando and, unfortunately, didn't survive the gun shot wounds. We ask at this time that you respect the privacy of her family and friends in their time of mourning. If you'd like to give back to Christina's family in her memory, please consider donating to the families GoFundMe page in their time of need." The former Voice contestant was taken to a local hospital tonight in Orlando, Fla., tonight after being shot by a male suspect, who proceeded to shoot himself. Members of the band Before You Exit were signing autographs after a concert at Orlando's Plaza Live when a male suspect shot Grimmie. The Orlando Police tells E! News that "Upon arrival officers found the male suspect, who was deceased and one victim who was gravely injured. 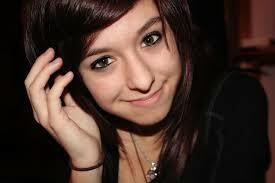 That victim, singer Christina Grimmie, was transported to the hospital with critical injuries,". "Detectives were told the suspect, who is not being identified at this time, walked toward Christina and shot her. Christina's brother immediately tackled the suspect stopping him from causing any more harm to Christina and her fans. During the struggle, the suspect shot himself. The suspect was pronounced dead at the scene." Police tell us the investigation is in its preliminary stages. In 2014, Grimmie participated in season six of The Voice. Her unique sound caused all four coaches to turn their chairs, but ultimately she joined Adam Levine's team and went on to the finals, finishing in third place. The Voice tweeted after news of Grimmie's hospitalization, "We are heartbroken. @TheRealGrimmie is a loved member of our family. Our thoughts are with her and her family. #PrayForChristina.". Levine also posted a throwback photo of himself with Christina, writing, "I'm sad, shocked and confused. We love you so much Grimmie. We are all praying hard that you can pull through this...this just isn't fair."